Q. How do you renew books online? Below are instructions for renewing library materials online. You can also call 208-426-3605 to renew materials. 1. From the Albertsons Library homepage, select the Your Library Account link. 2. 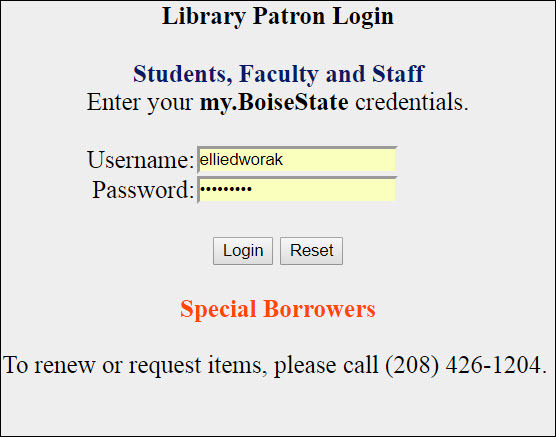 Log in to your account using your my.BoiseState user name and password. 3. Click "View your library account"
4. Select the materials you want to renew by checking the box next to the item. Select the "Renew Items" button at the bottom of your list. 5. Scan down your list of items to verify that the system was able to renew the selected materials.